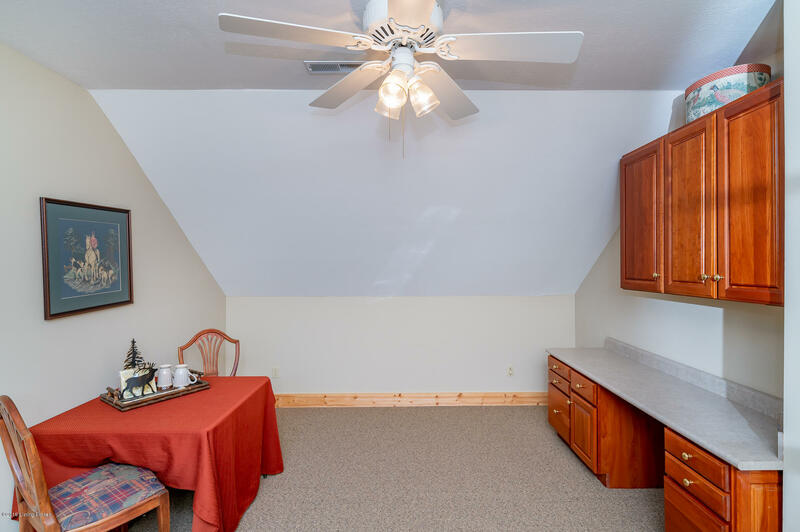 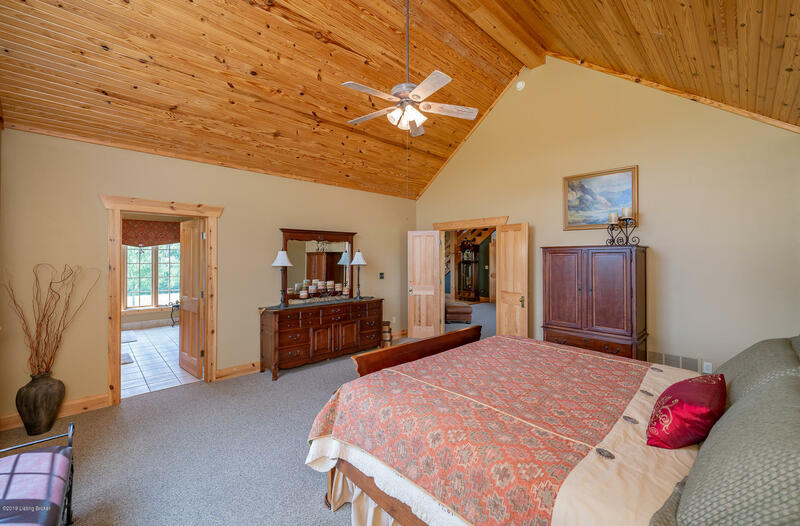 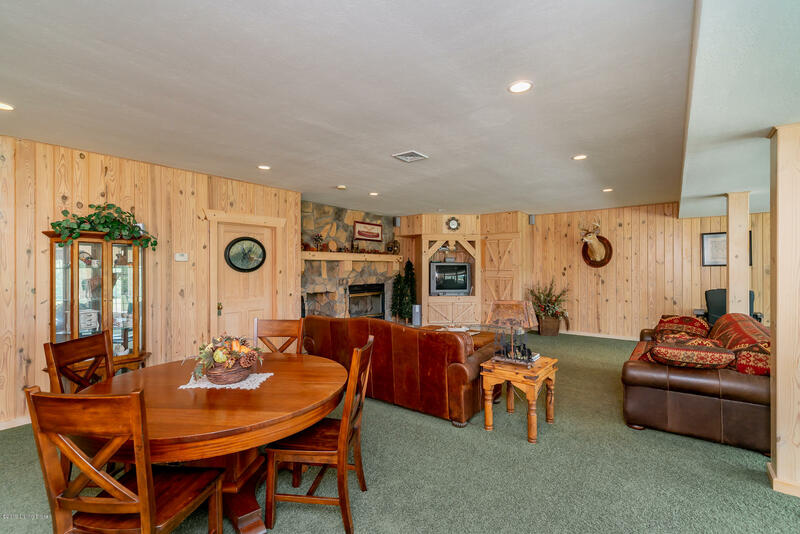 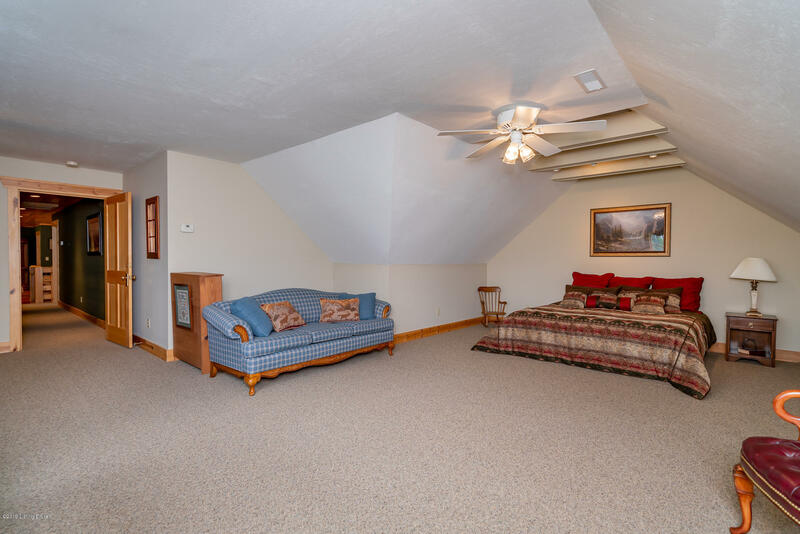 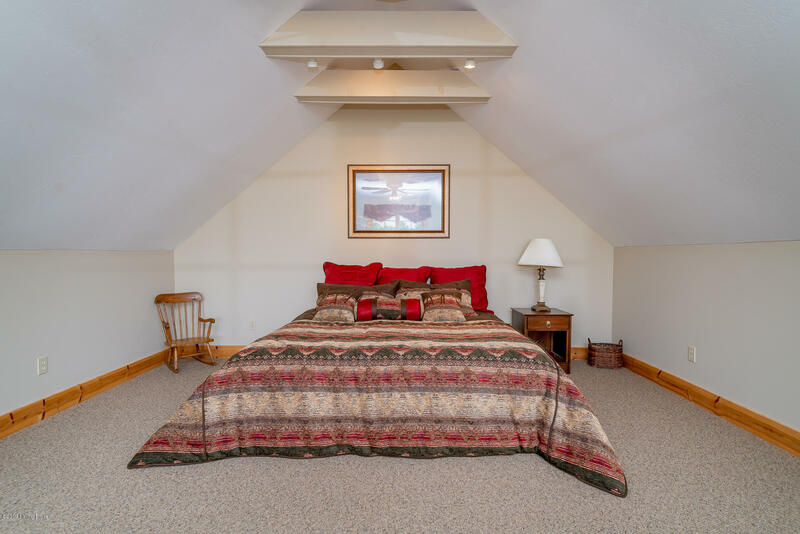 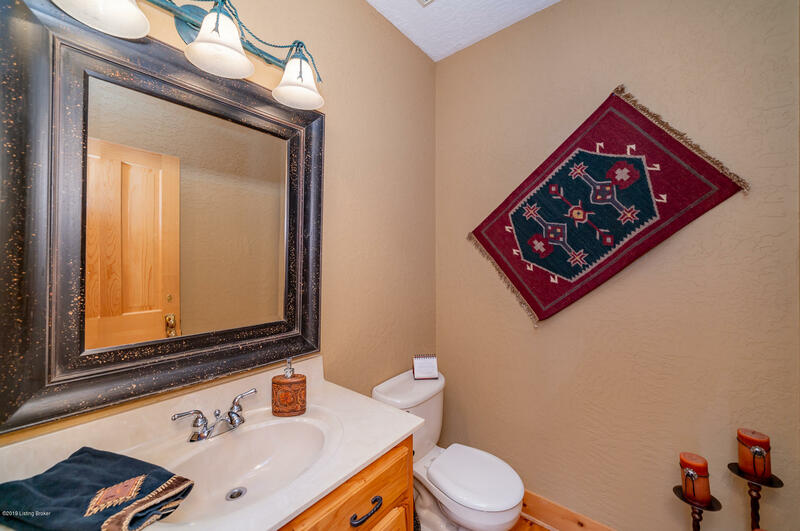 If you're looking for your own private and peaceful retreat, look no further. 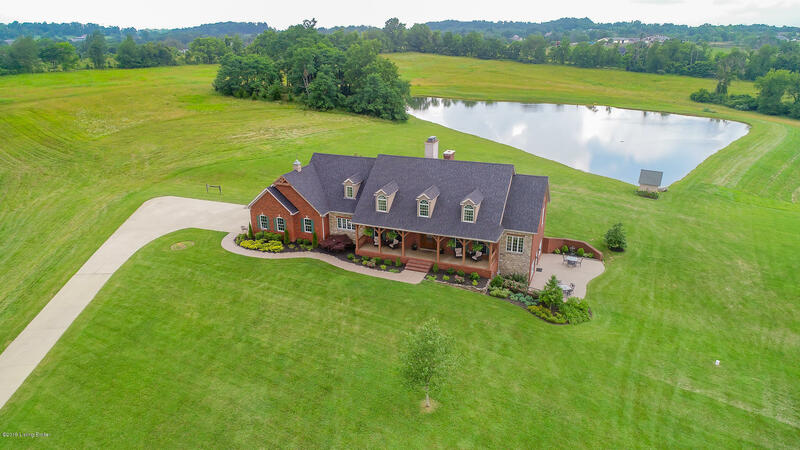 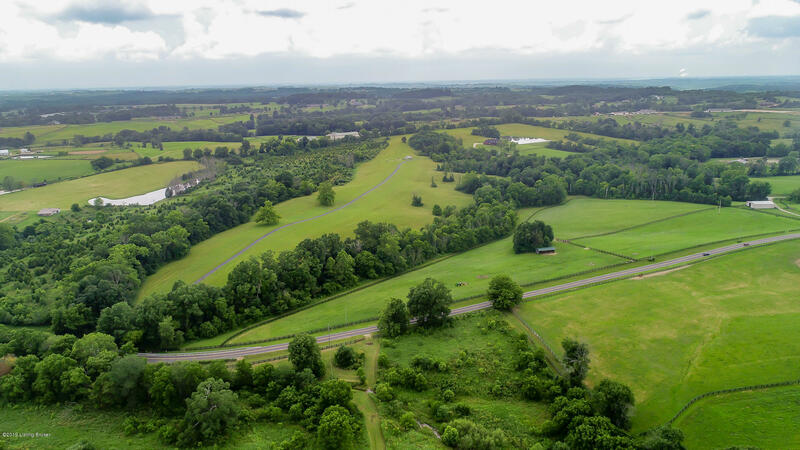 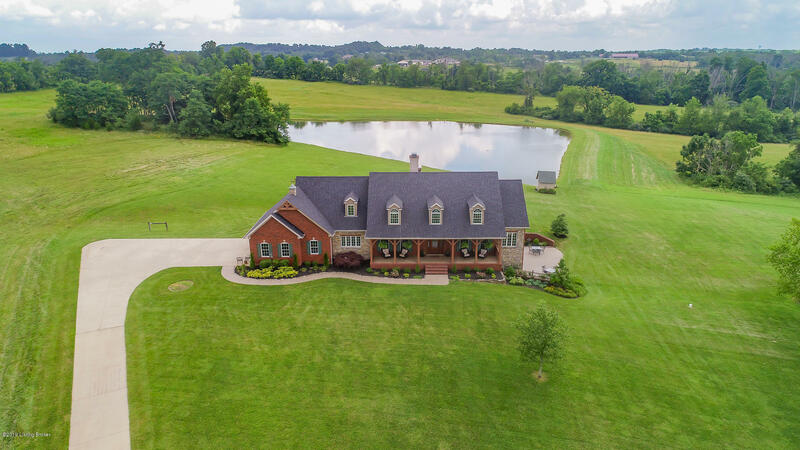 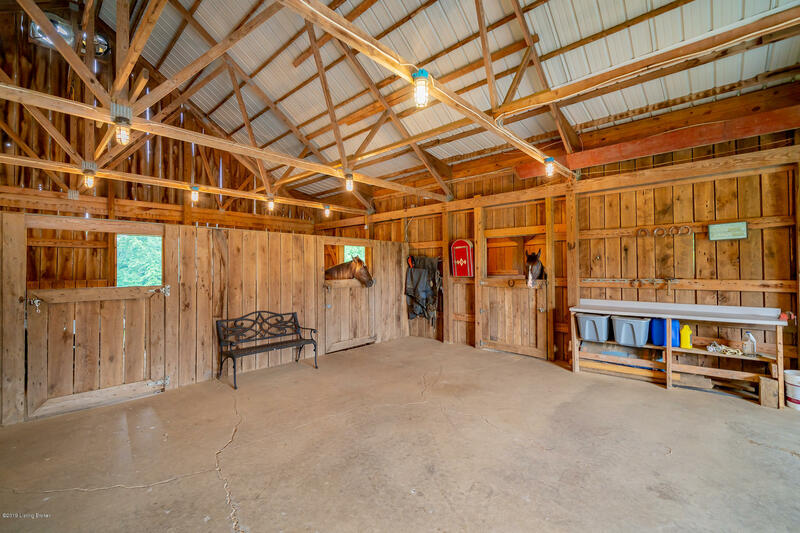 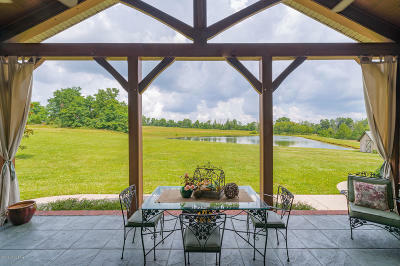 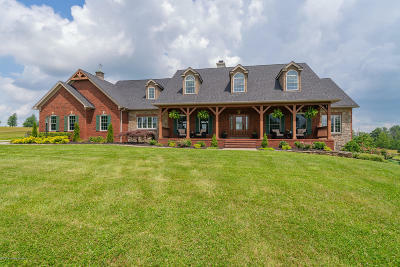 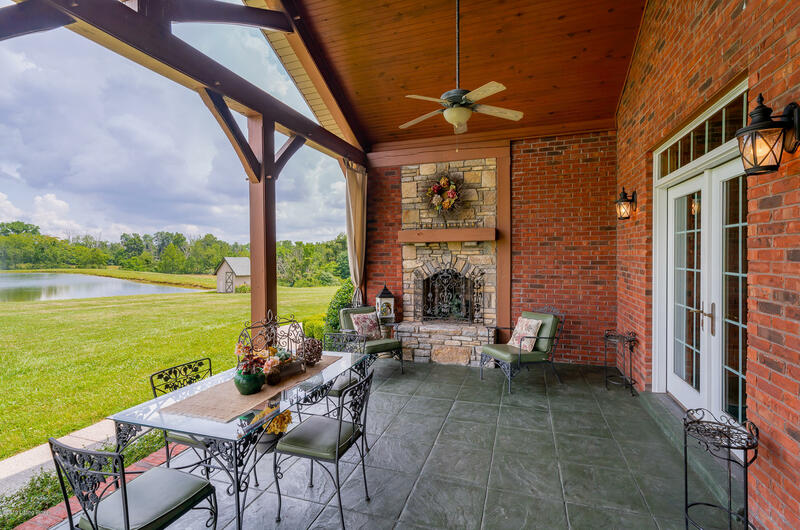 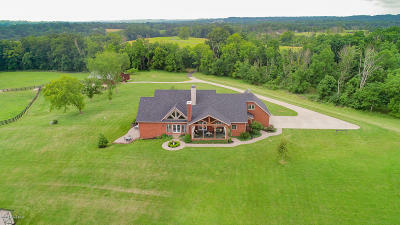 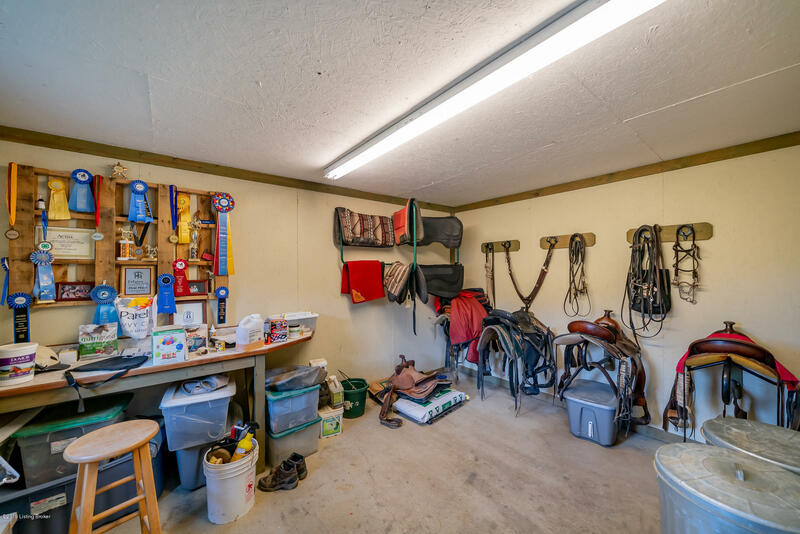 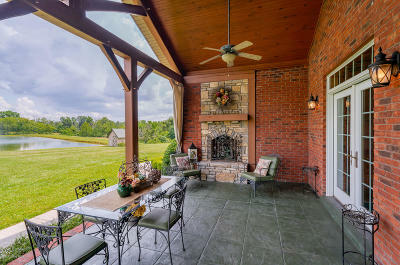 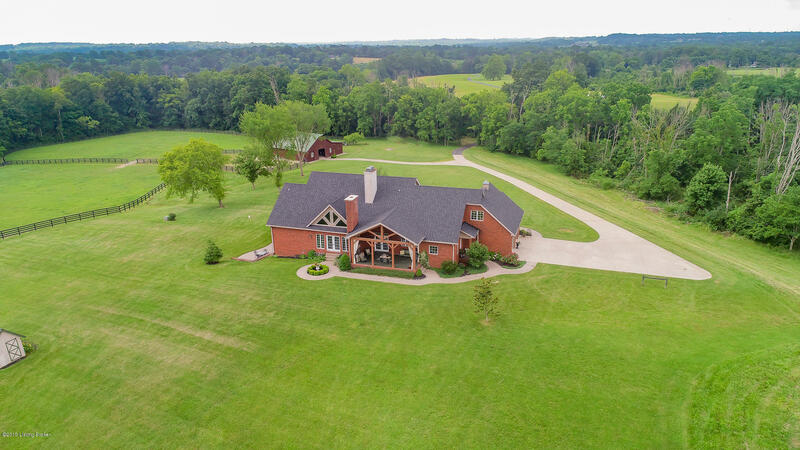 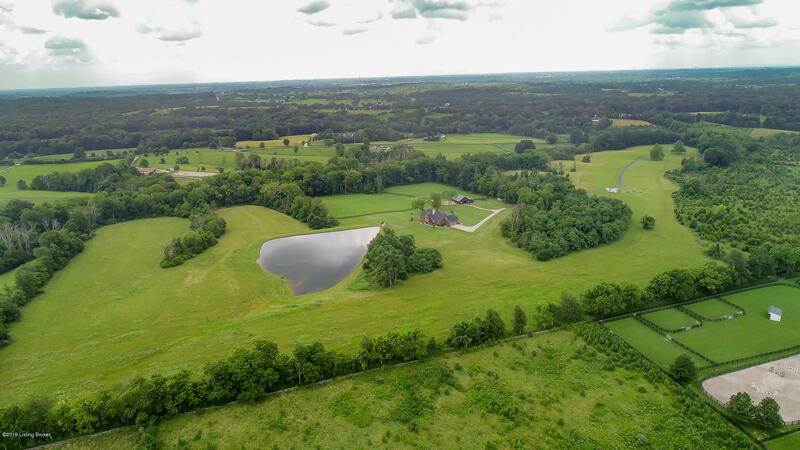 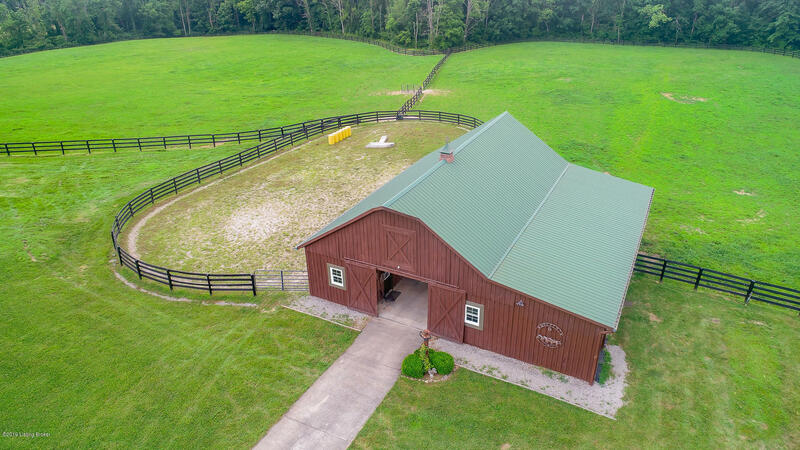 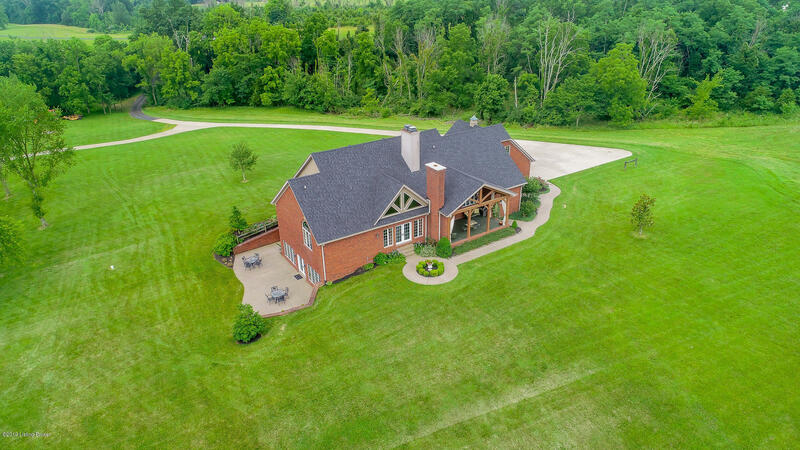 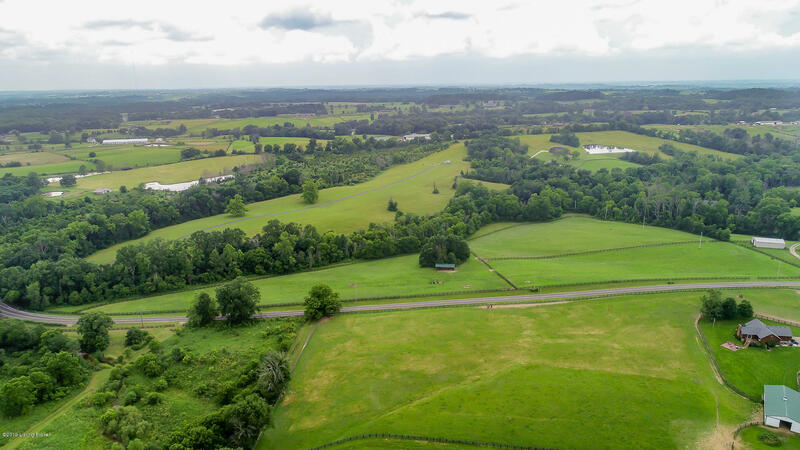 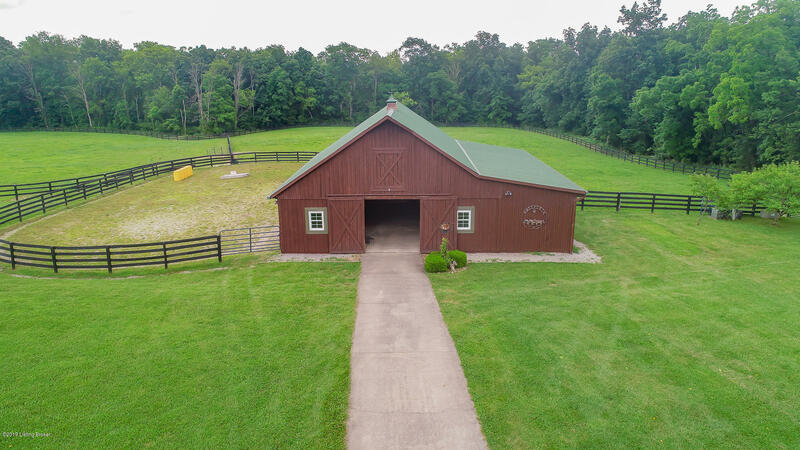 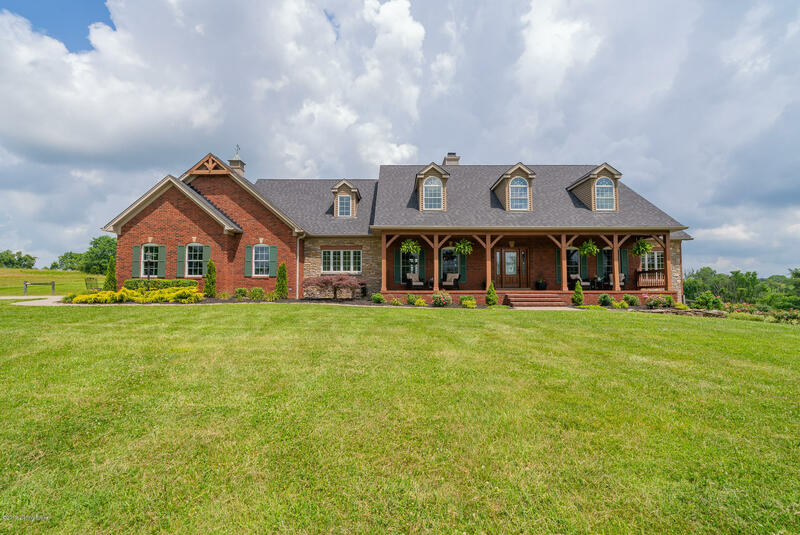 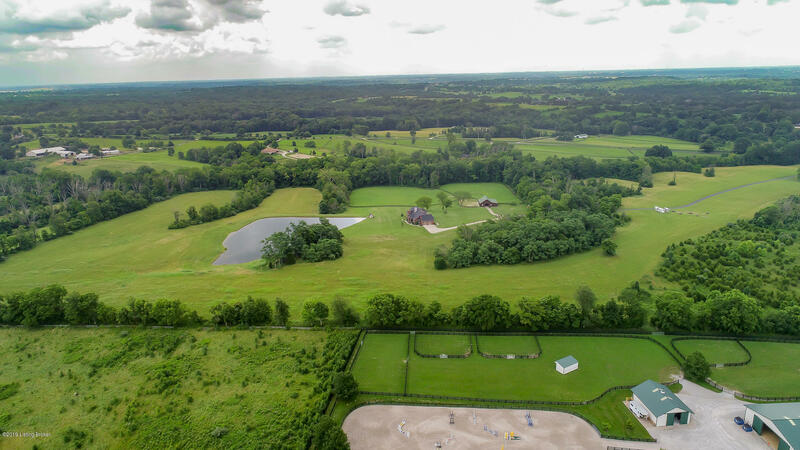 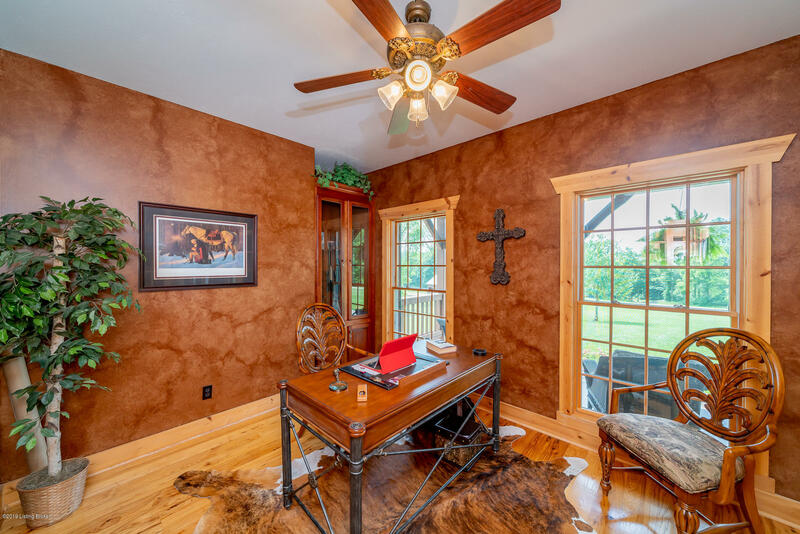 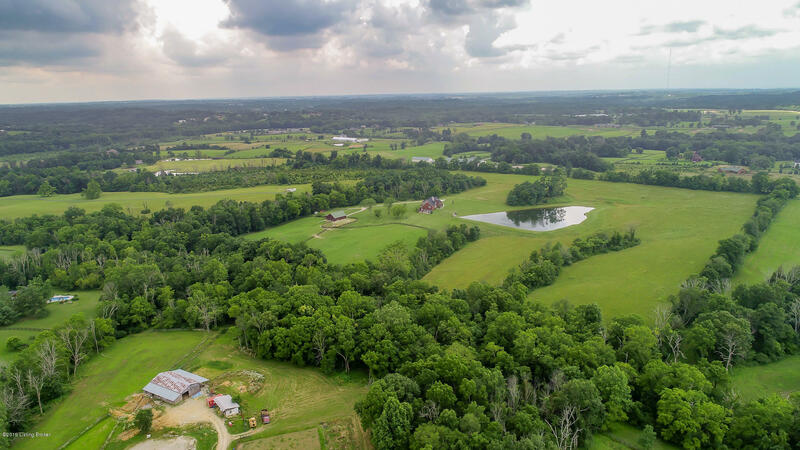 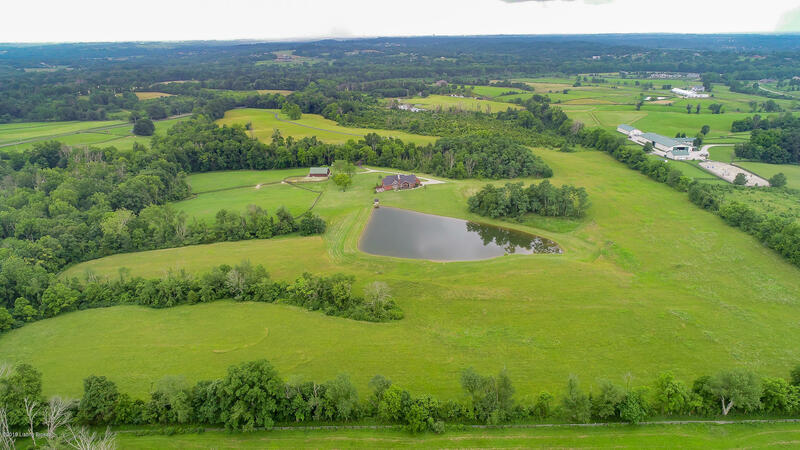 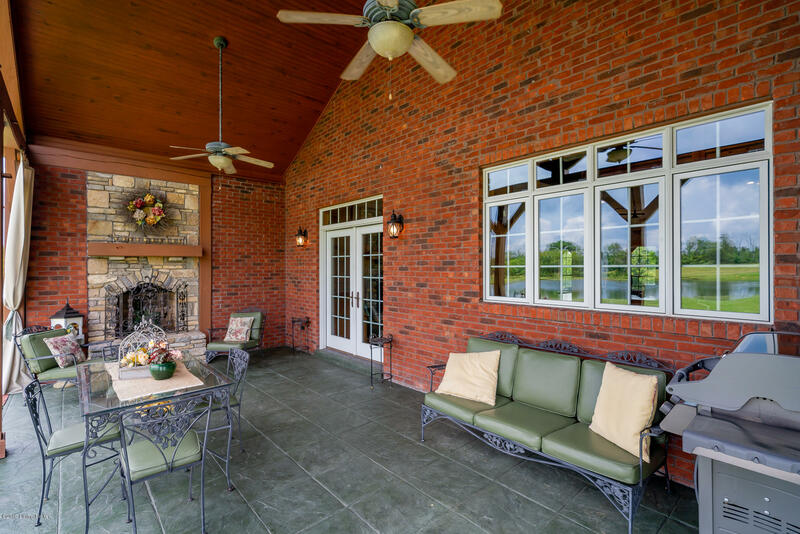 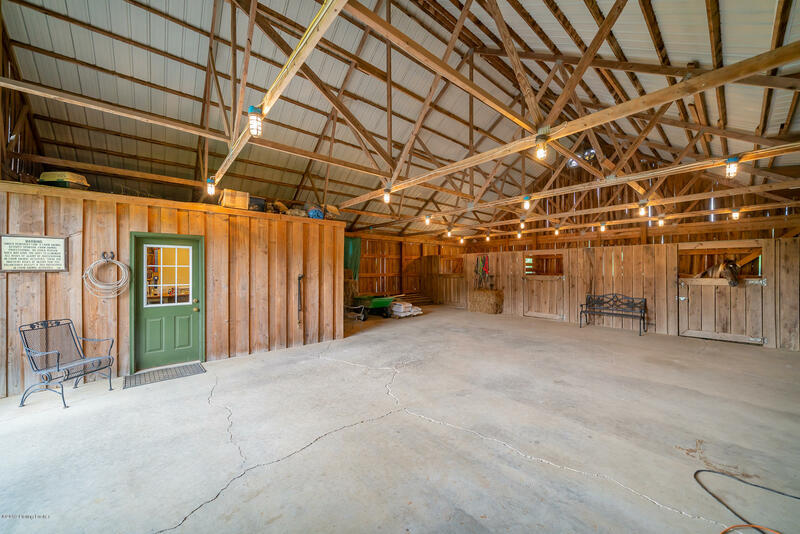 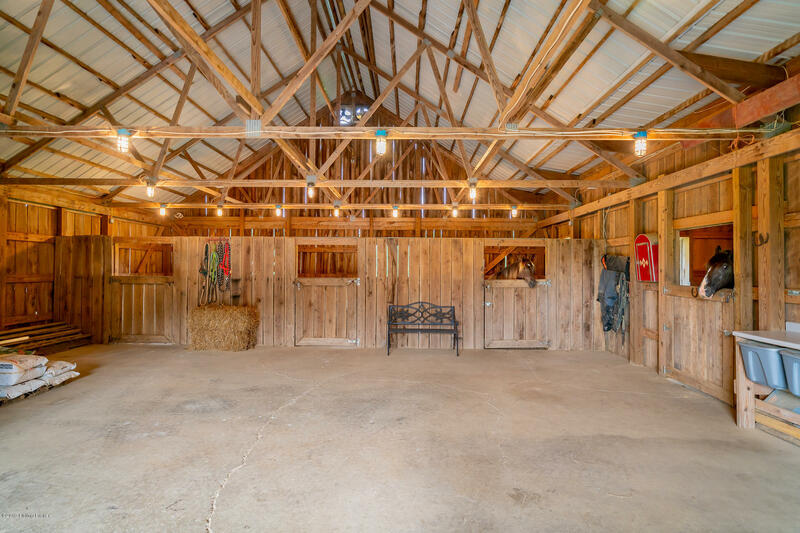 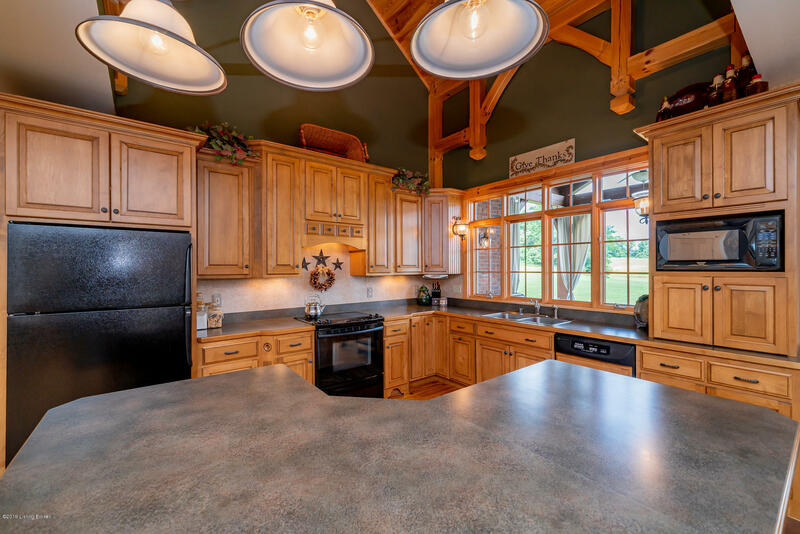 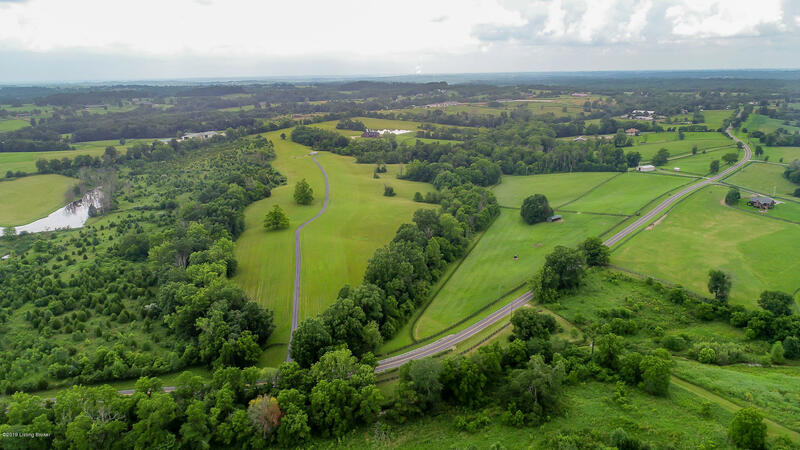 This unique property located in desirable Oldham County provides 78 acres of lush countryside with a stunning home, horse barn and pond. 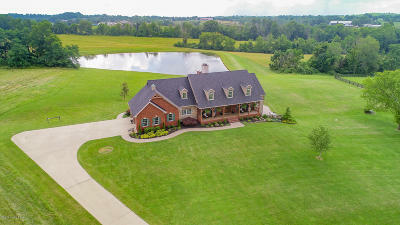 There is a creek that runs through the property as well. 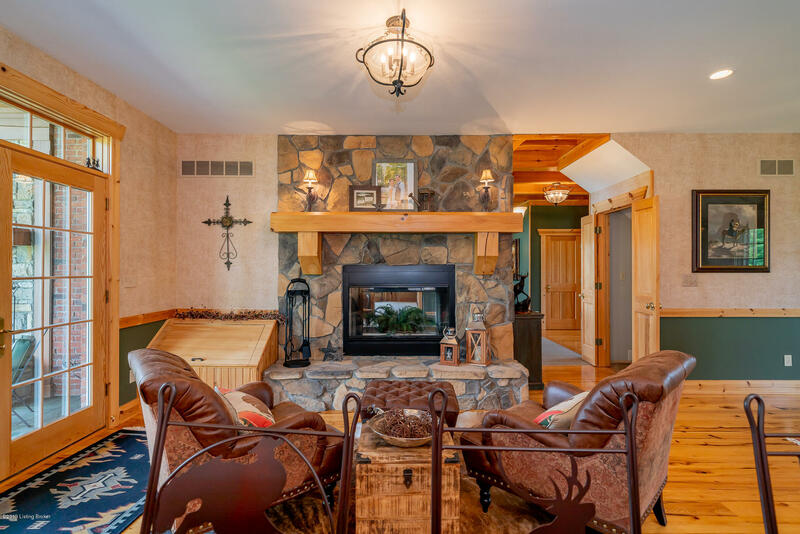 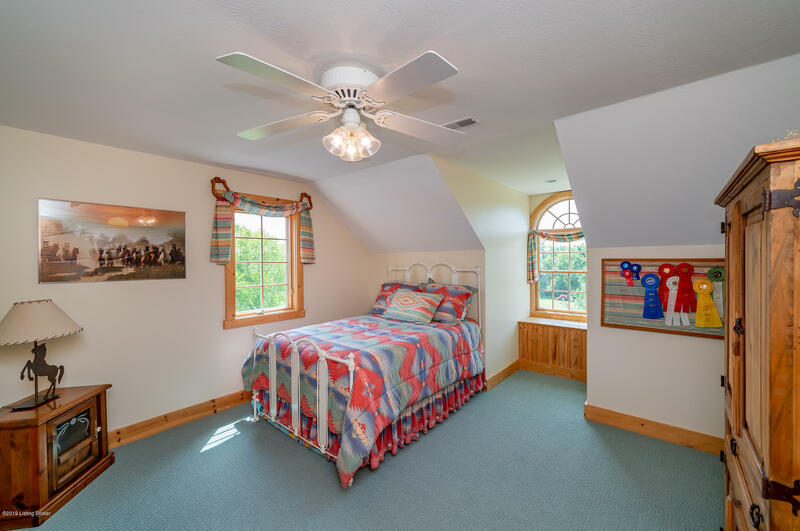 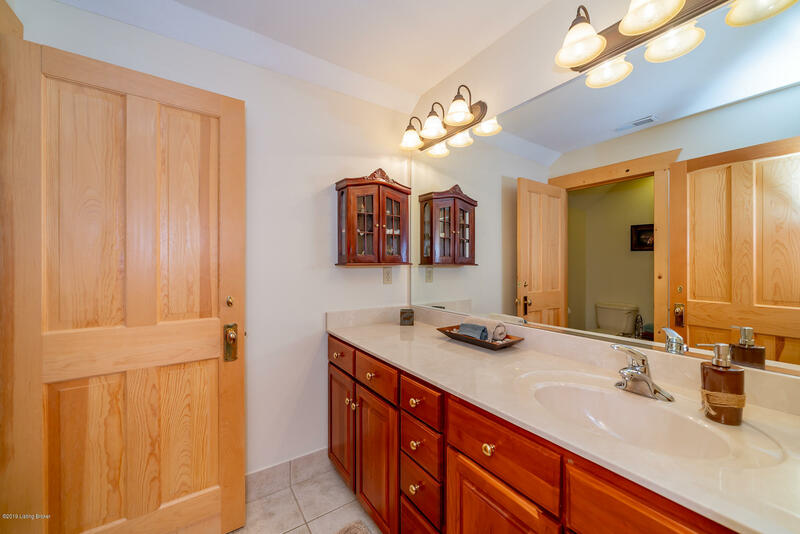 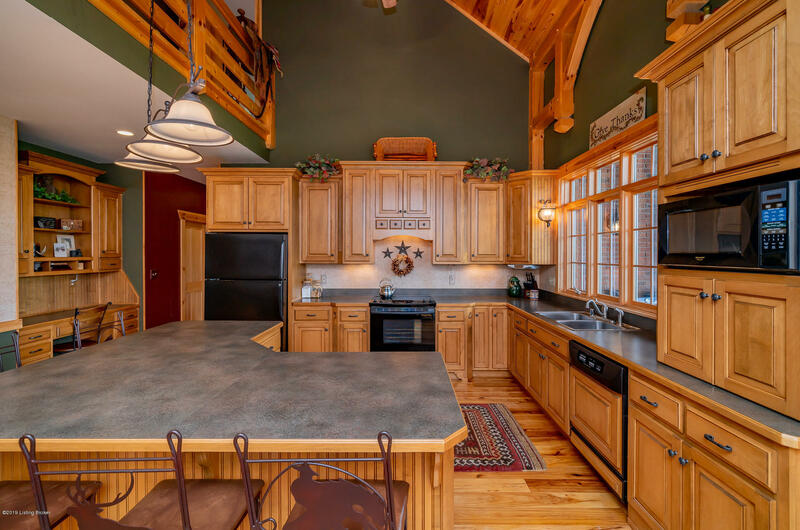 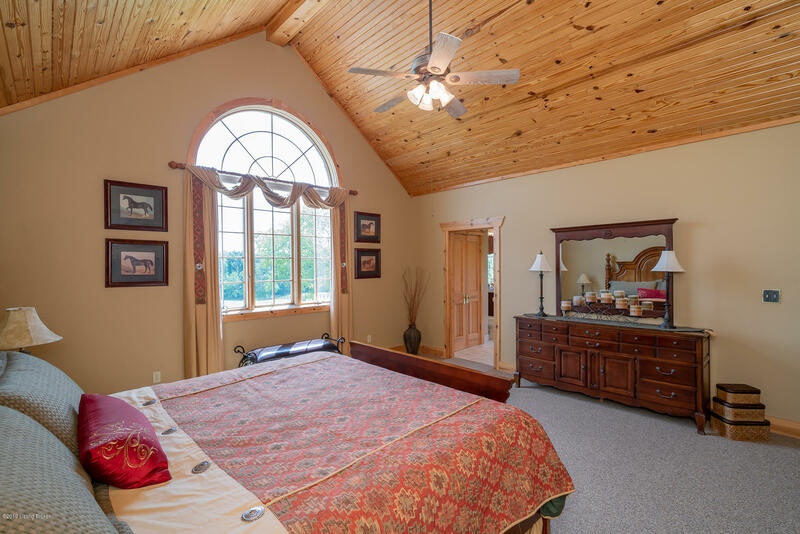 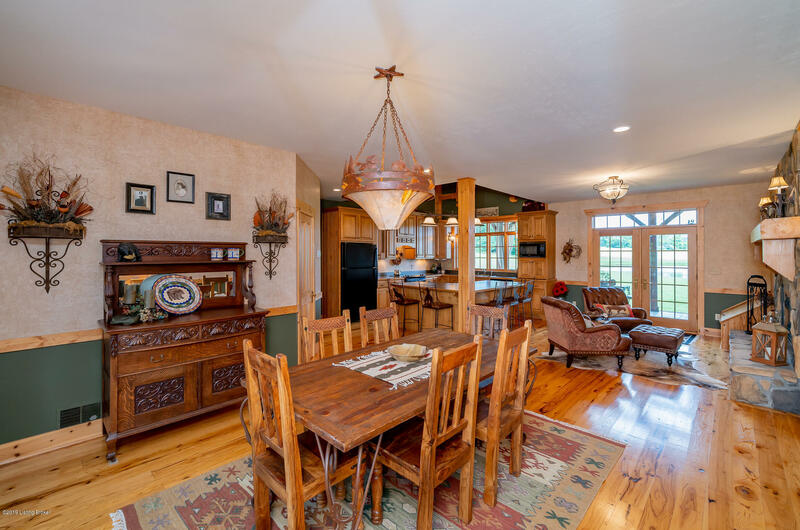 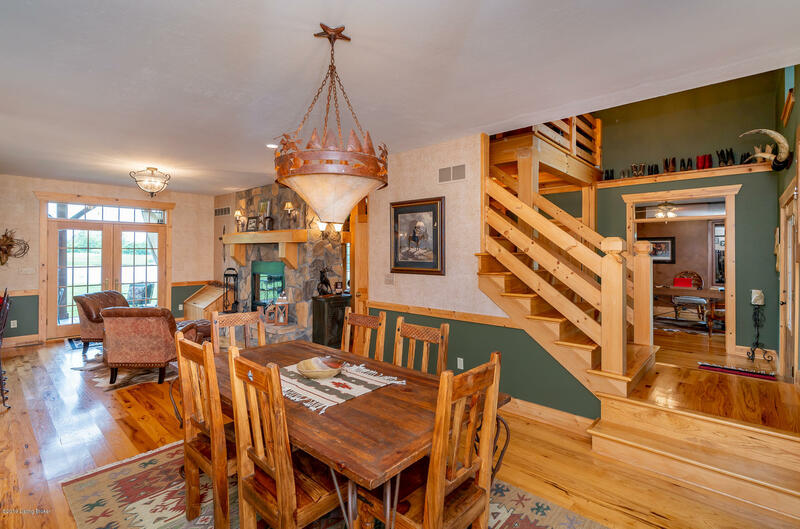 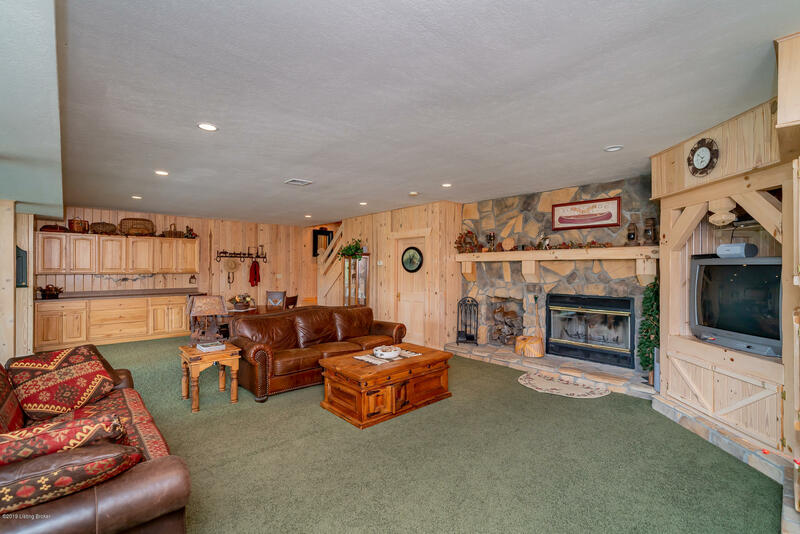 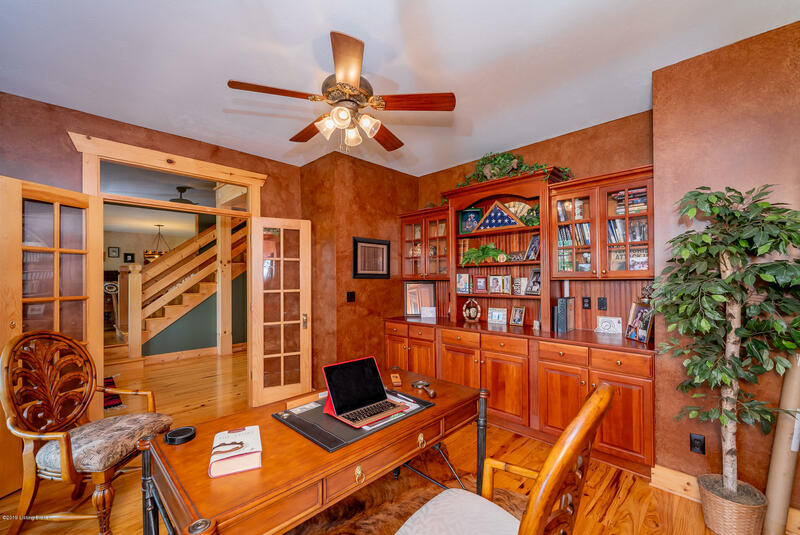 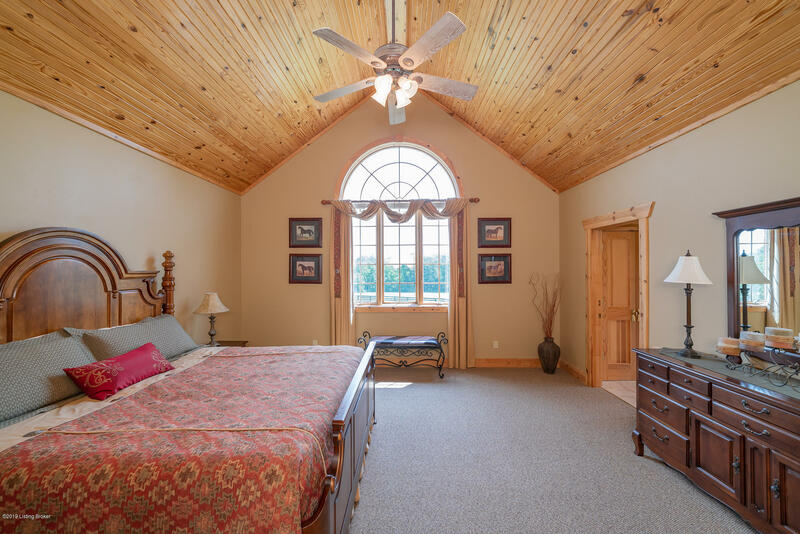 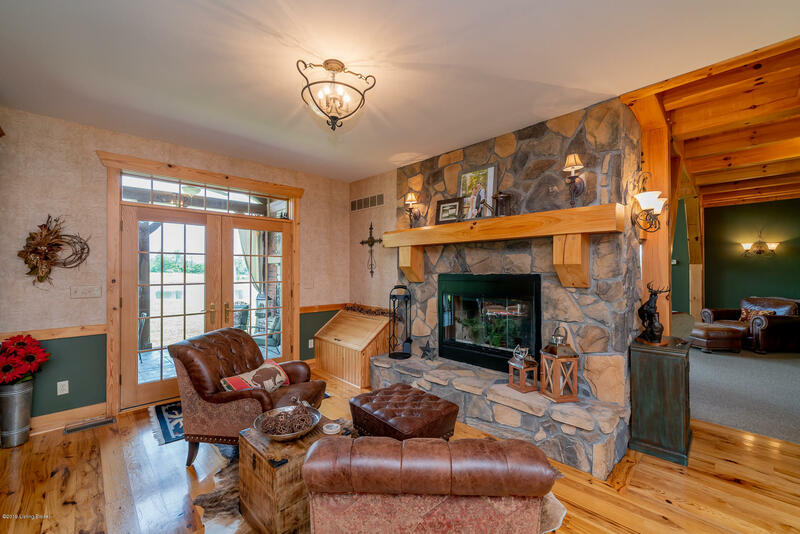 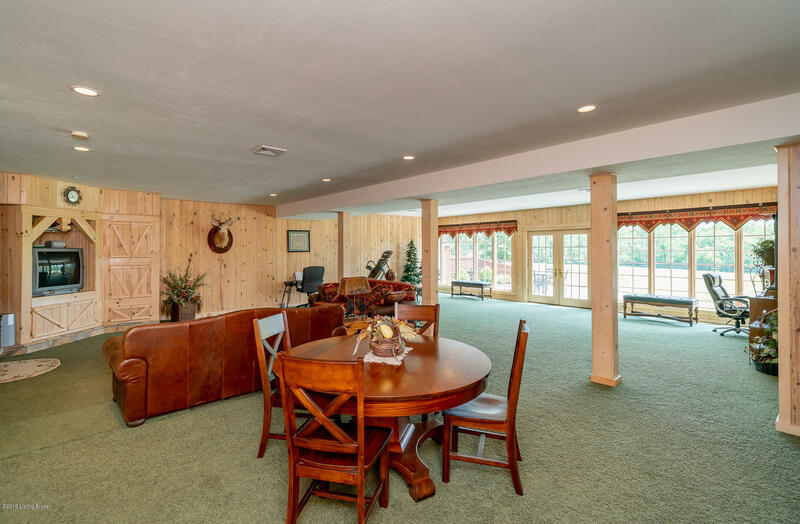 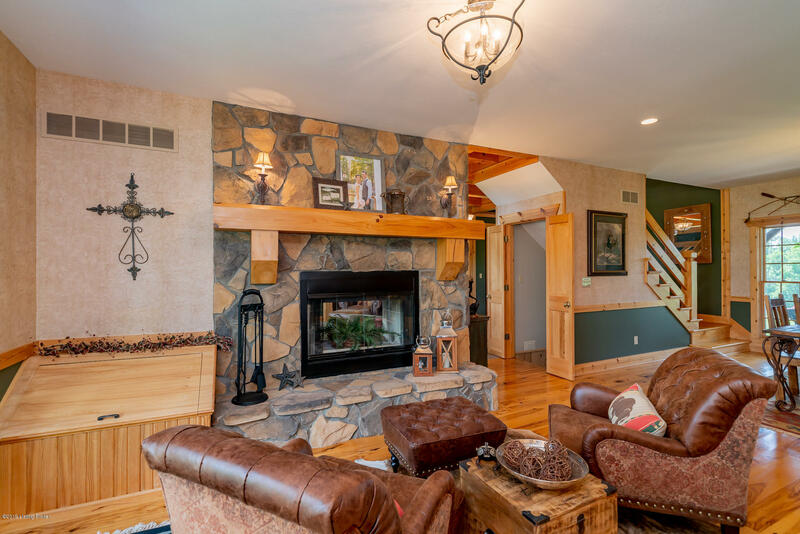 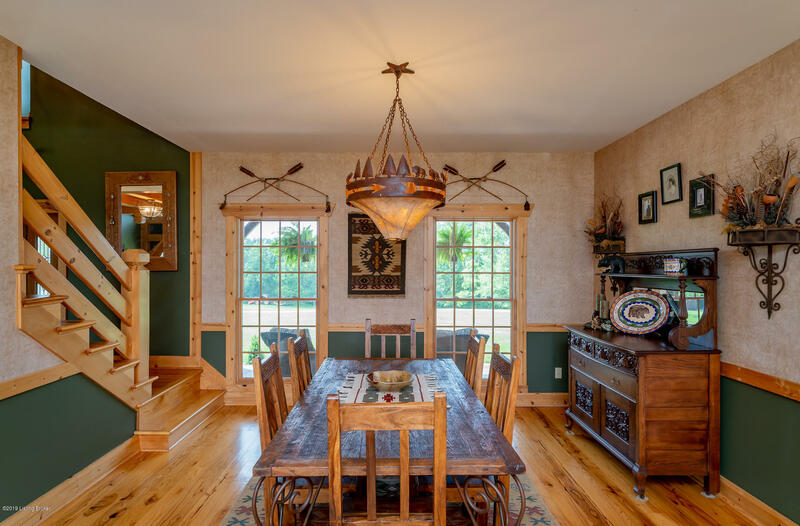 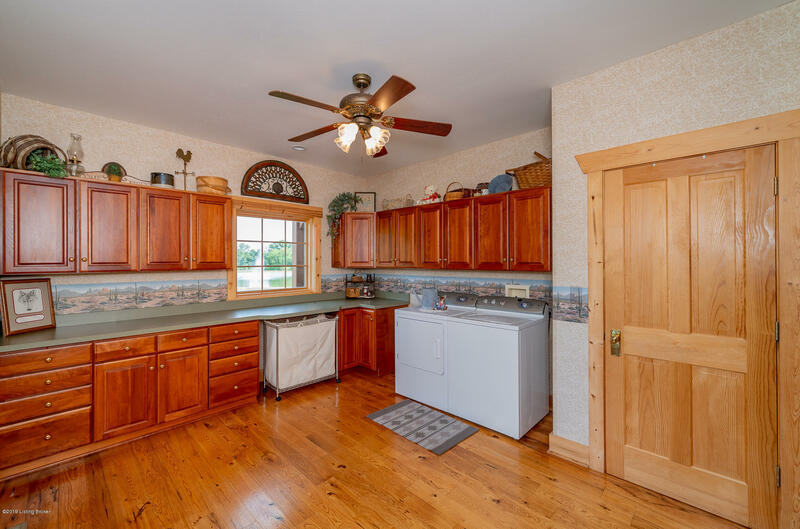 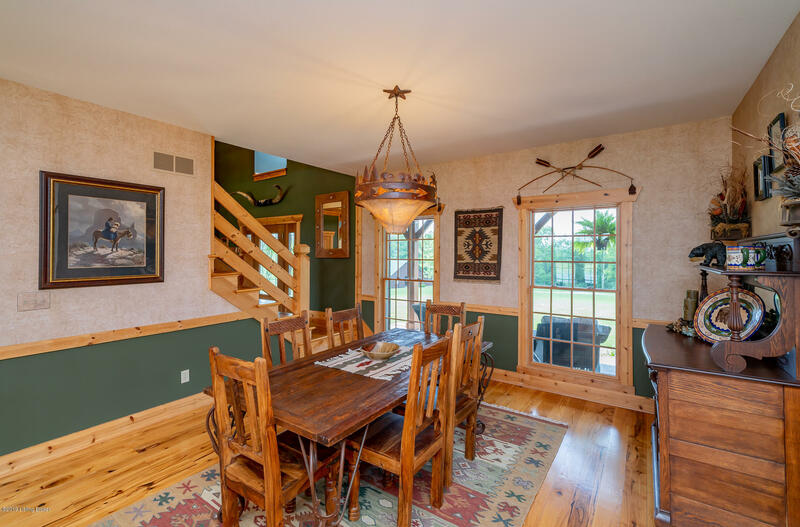 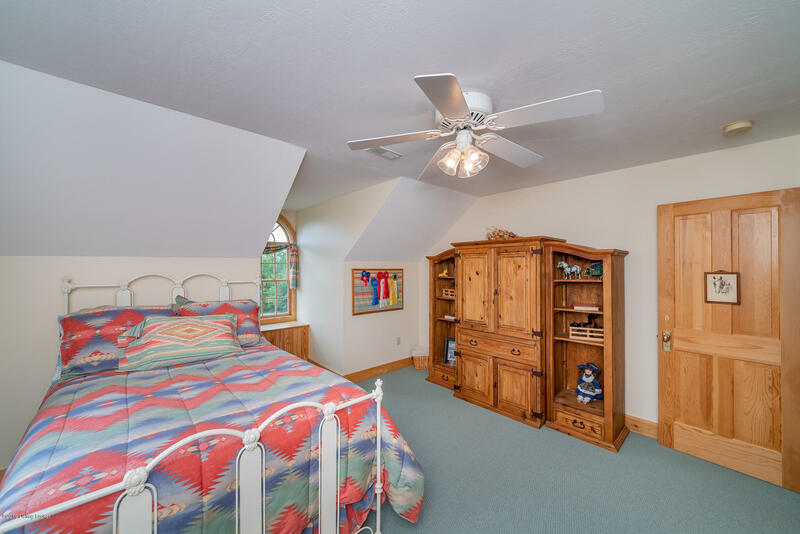 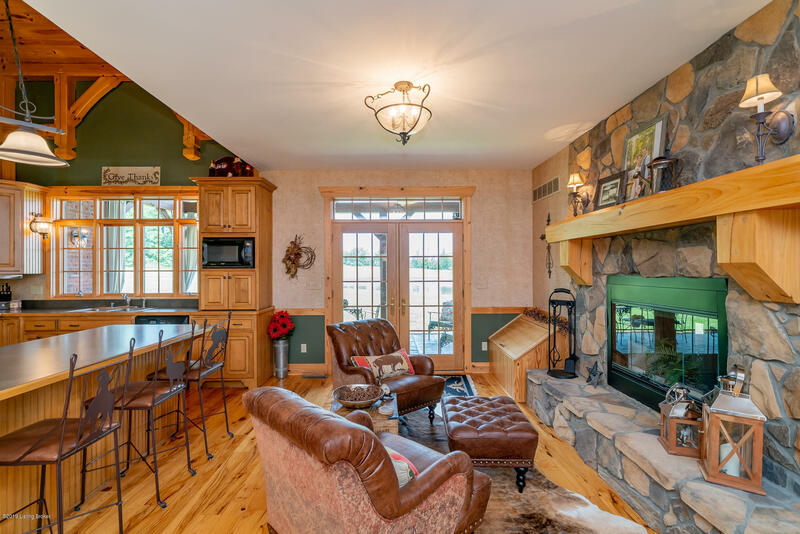 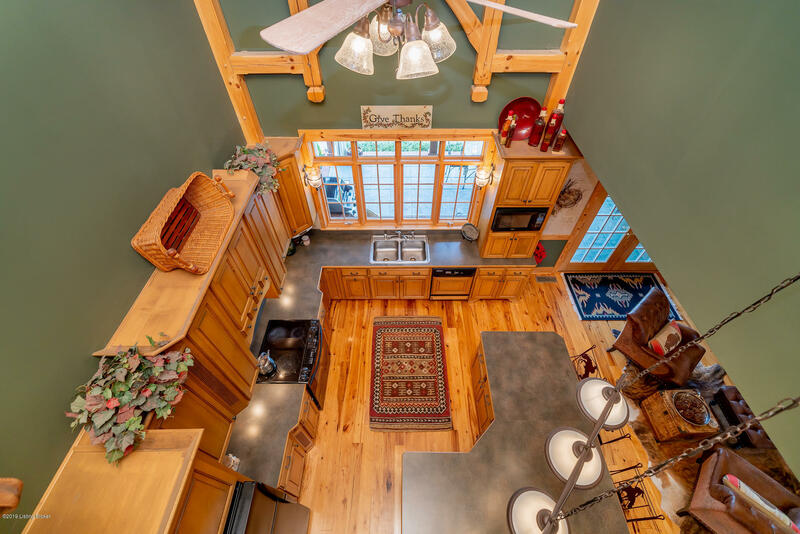 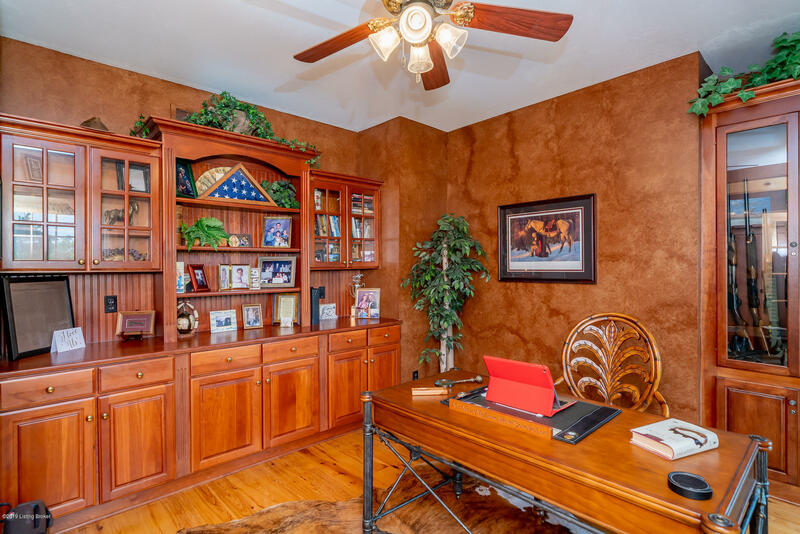 This cape cod style home is positioned perfectly back a long, paved drive with no other homes in sight and prime views of the pond with fountain. 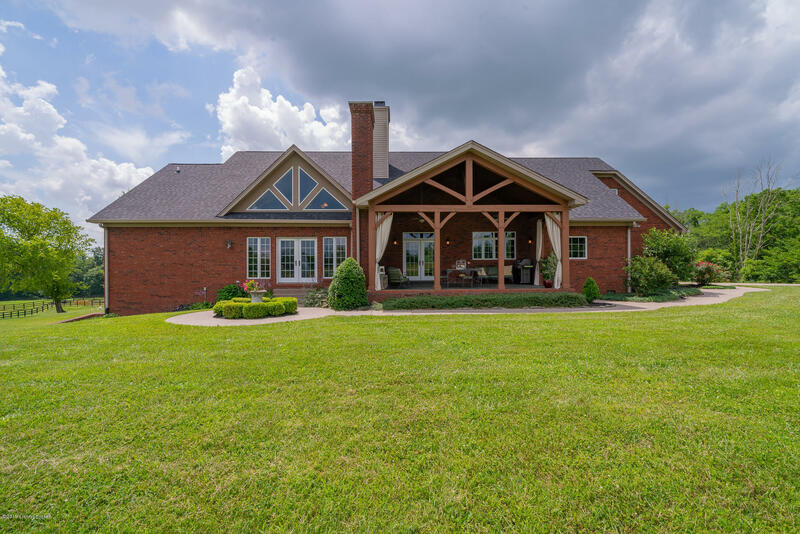 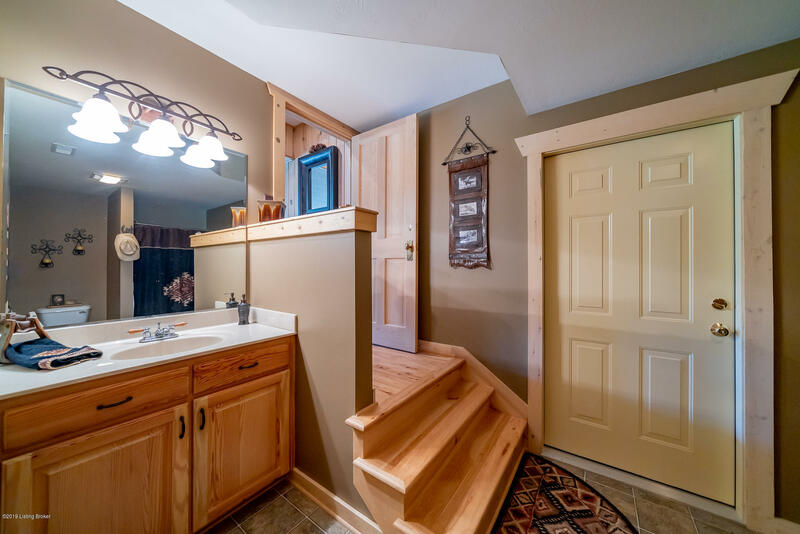 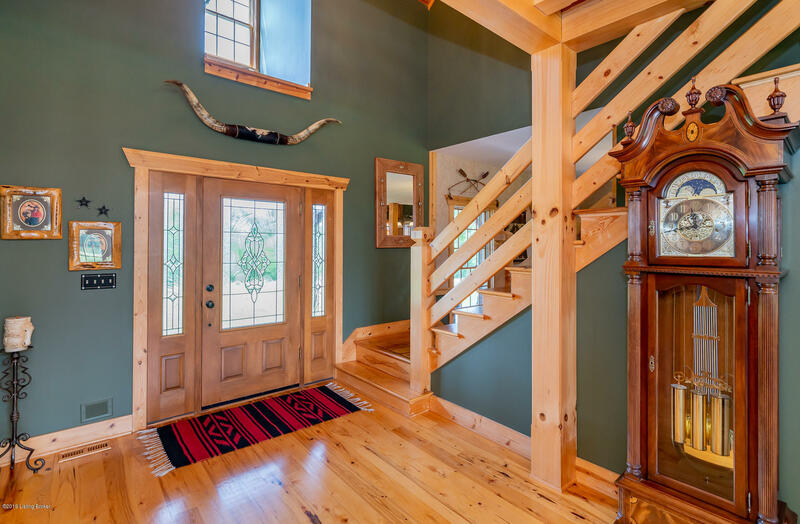 The home was designed and built by the current owners 17 years ago with every detail taken into consideration in the well thought out post and beam construction plan. 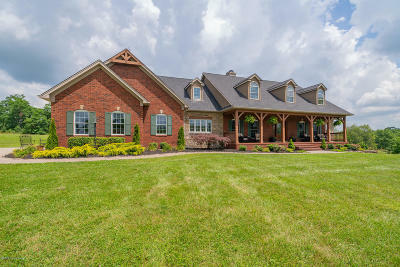 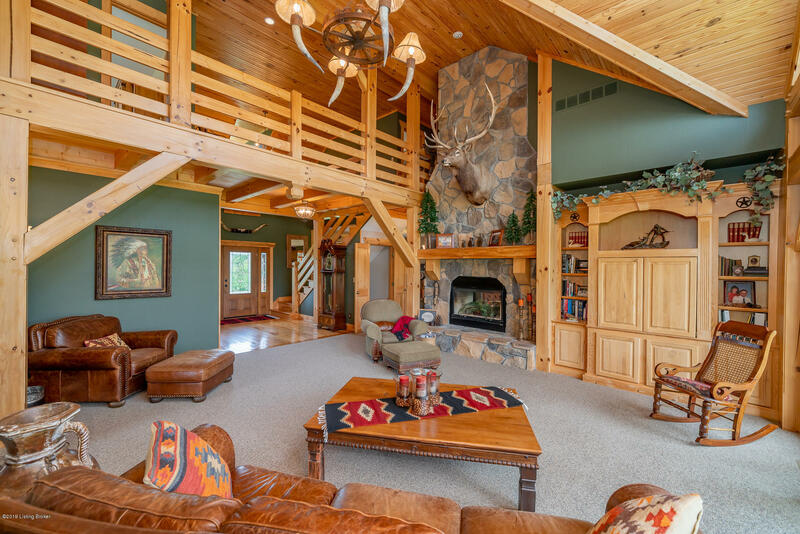 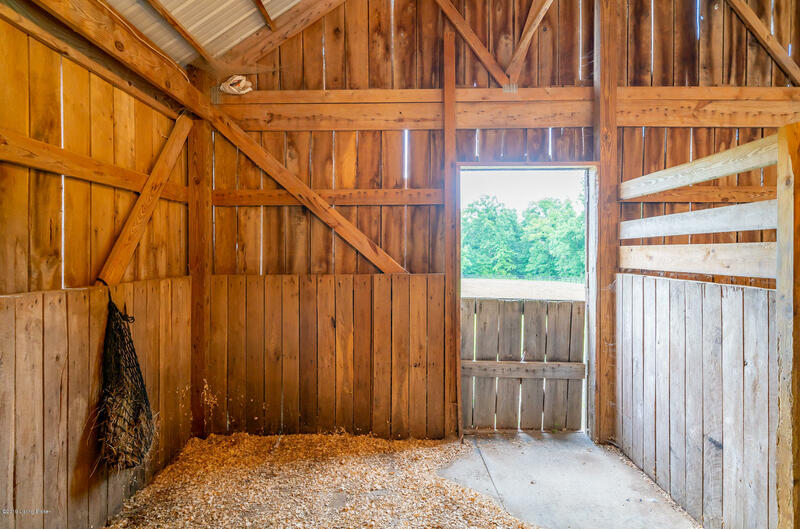 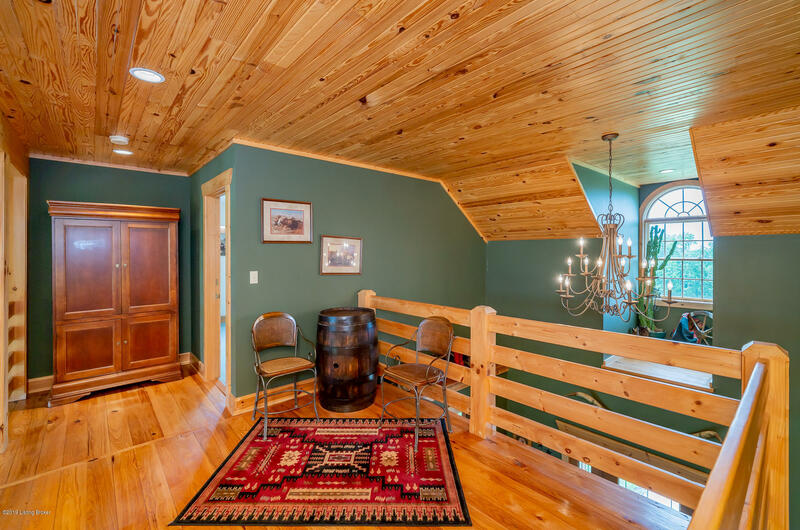 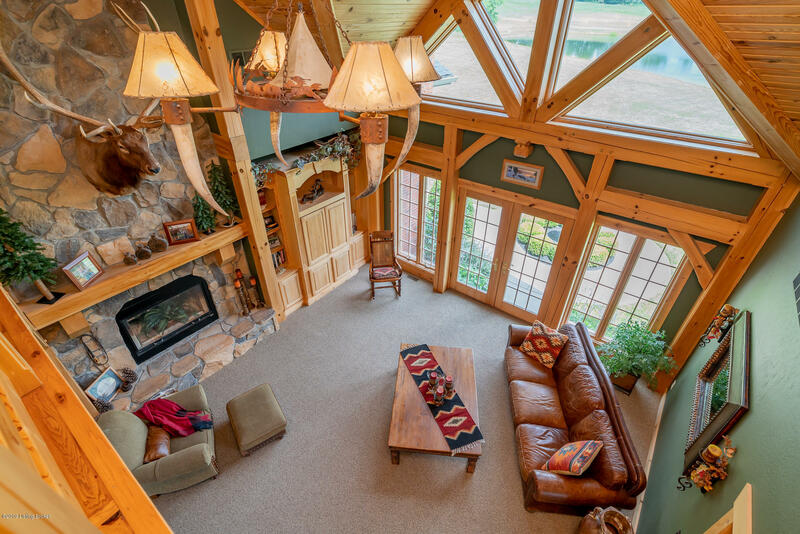 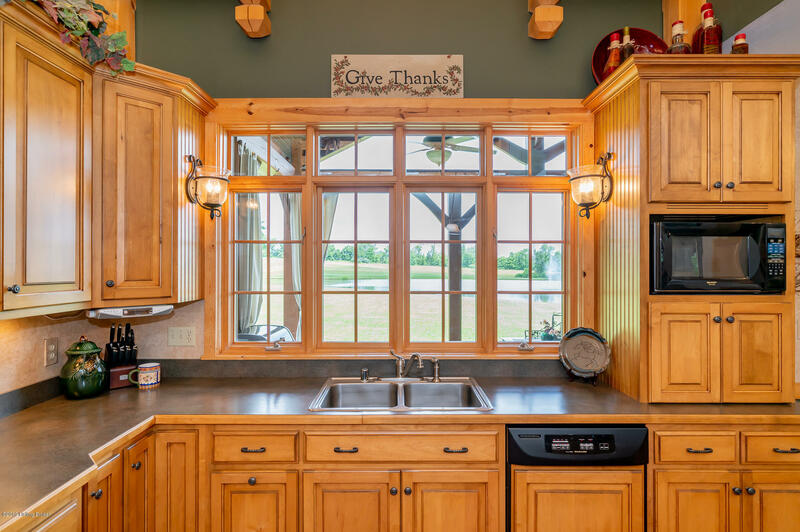 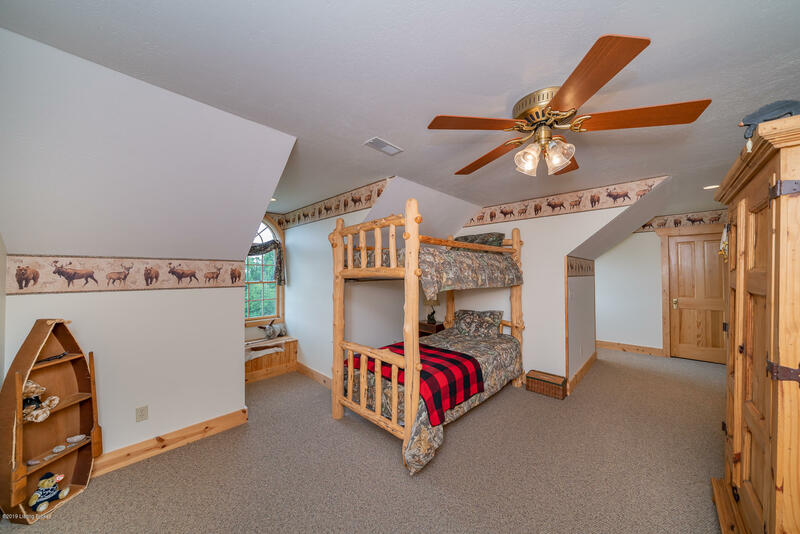 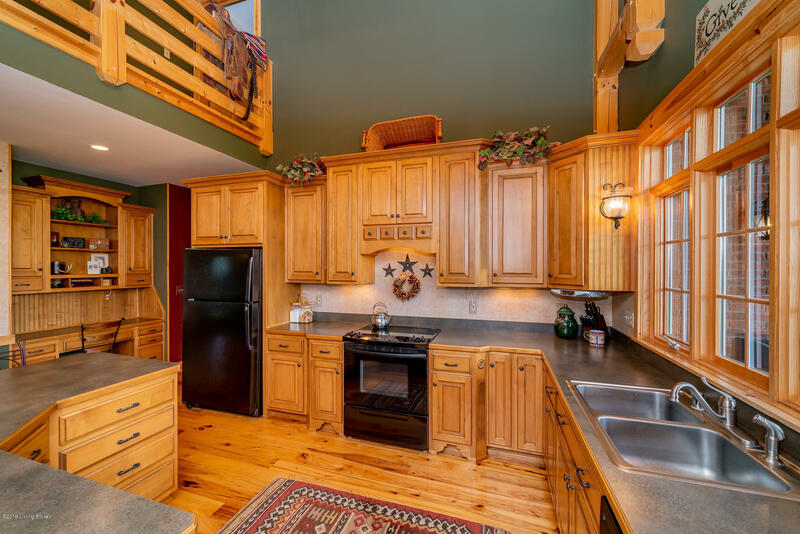 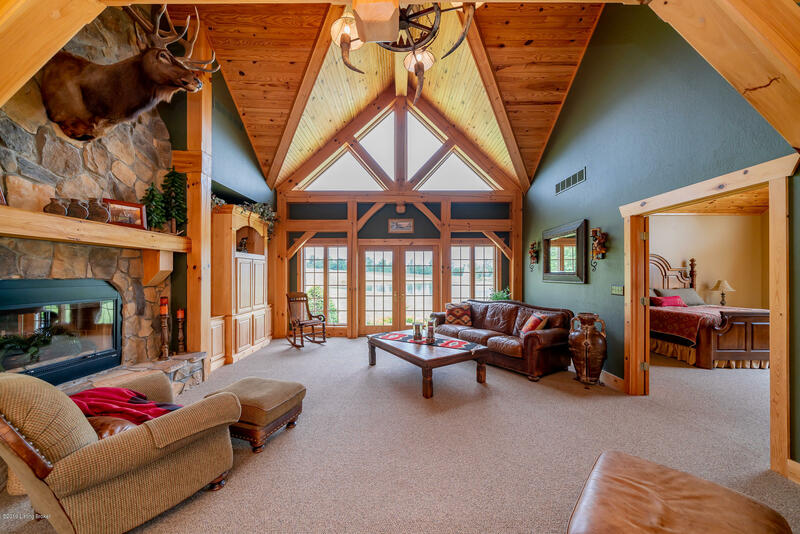 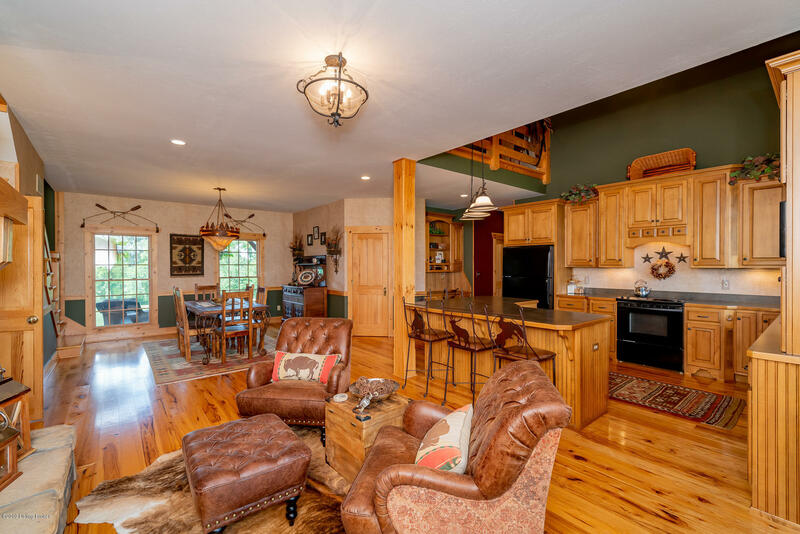 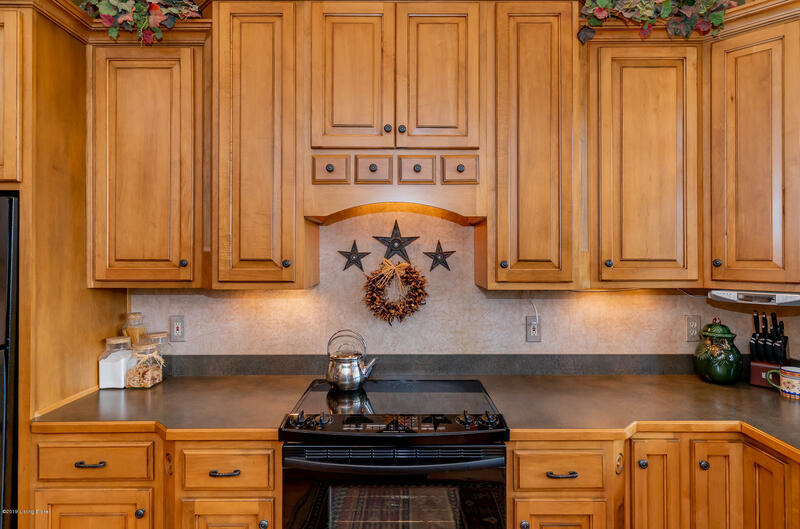 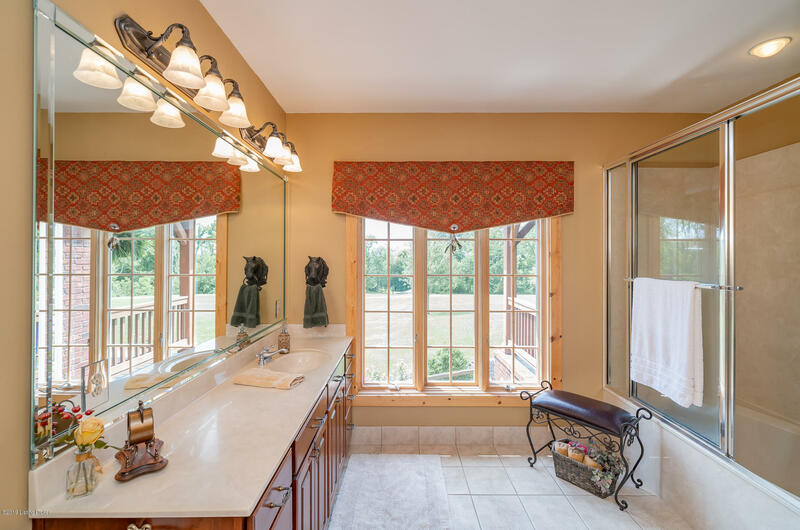 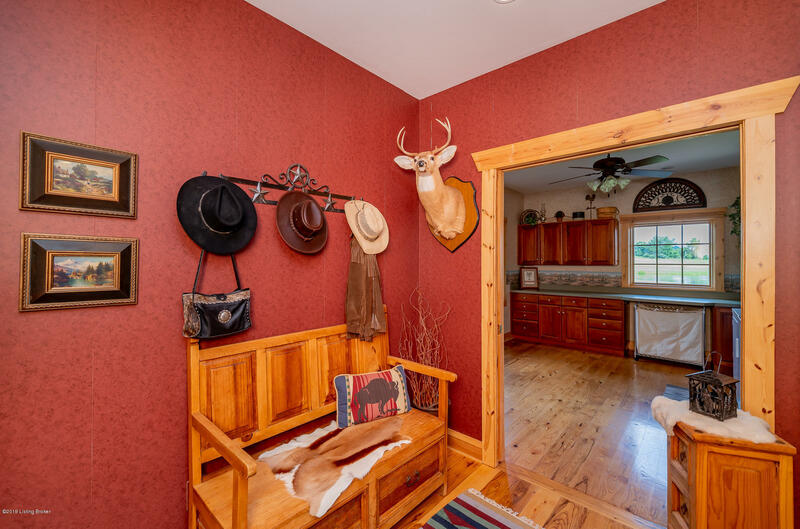 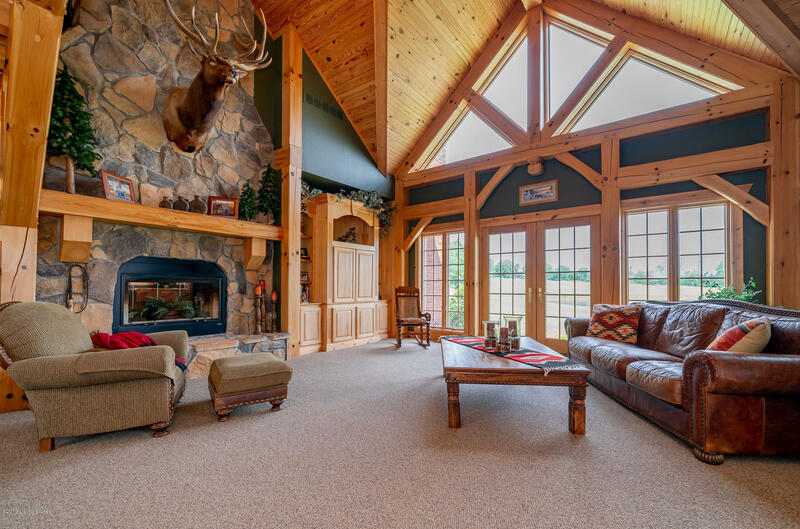 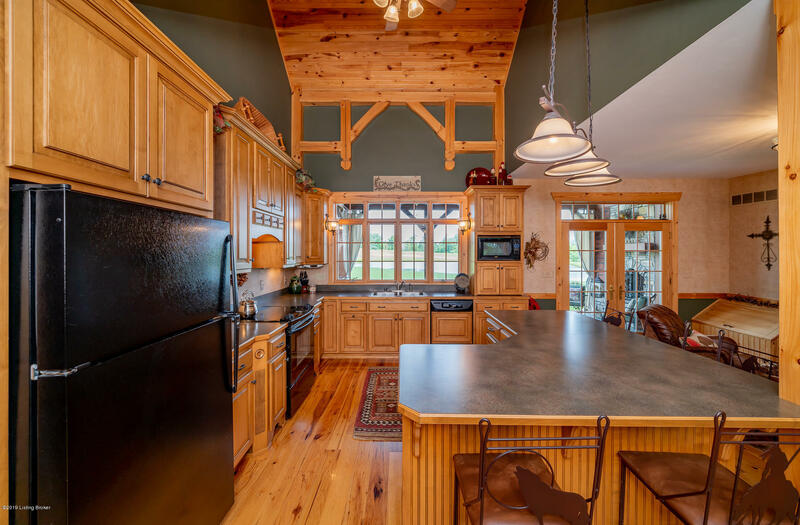 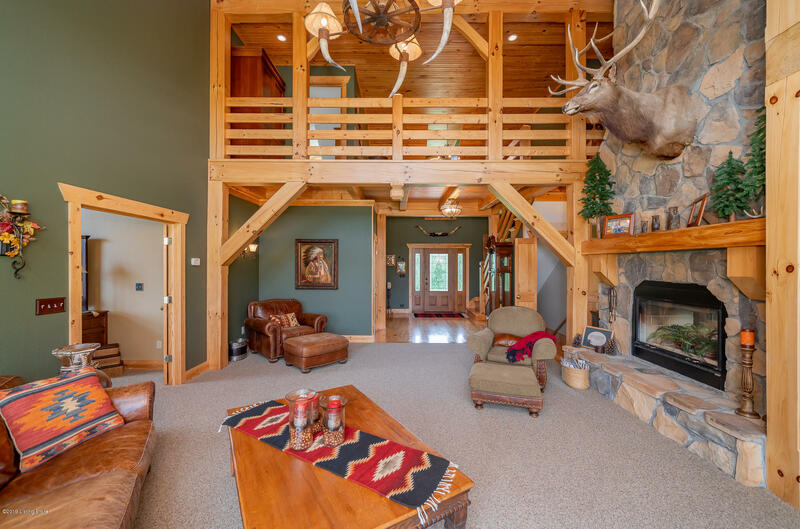 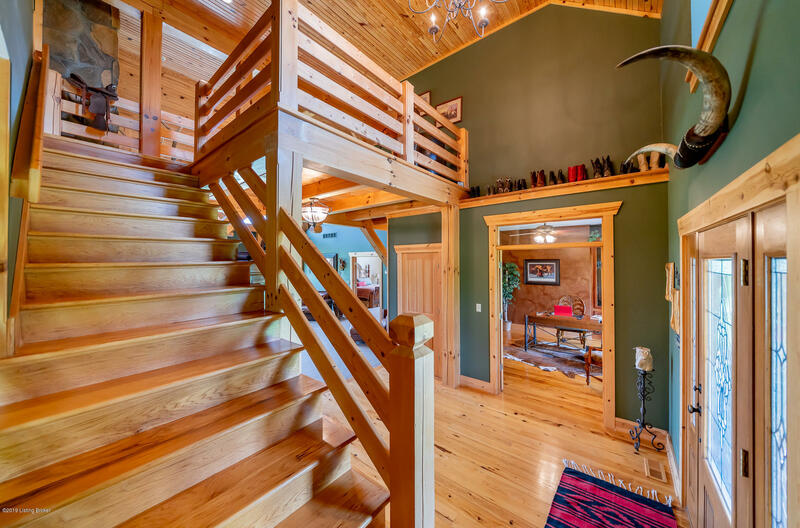 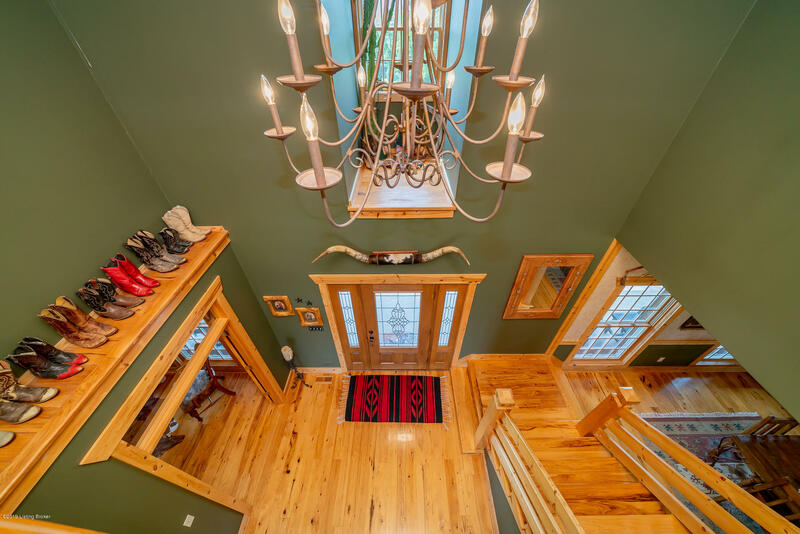 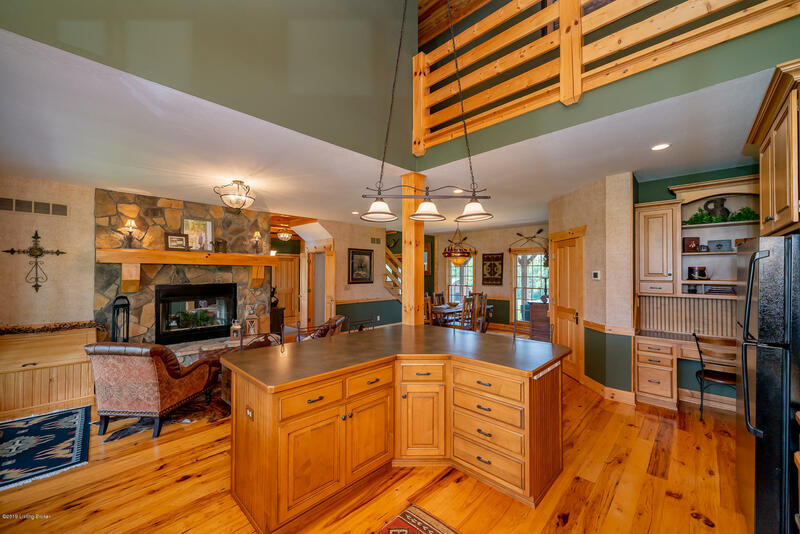 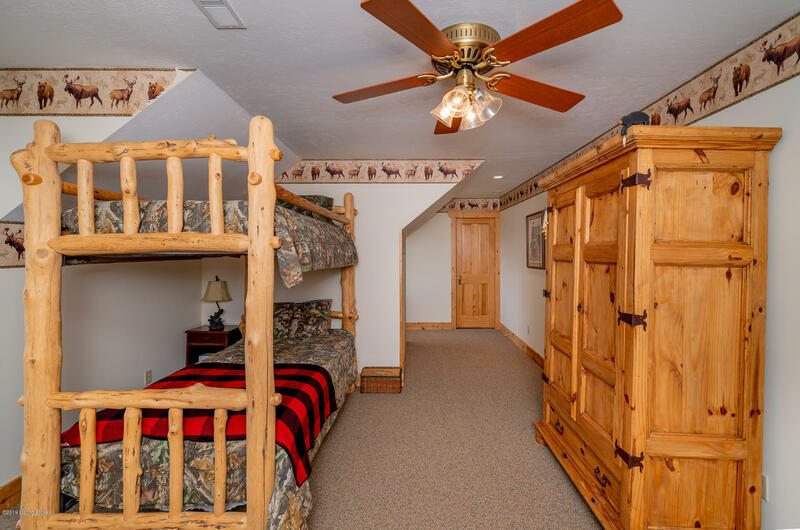 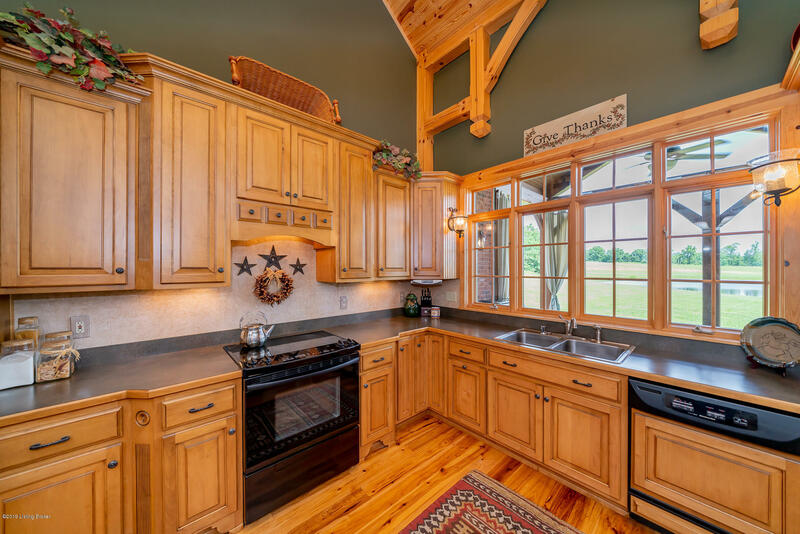 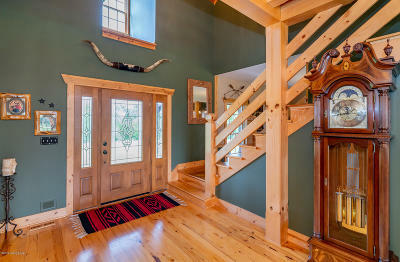 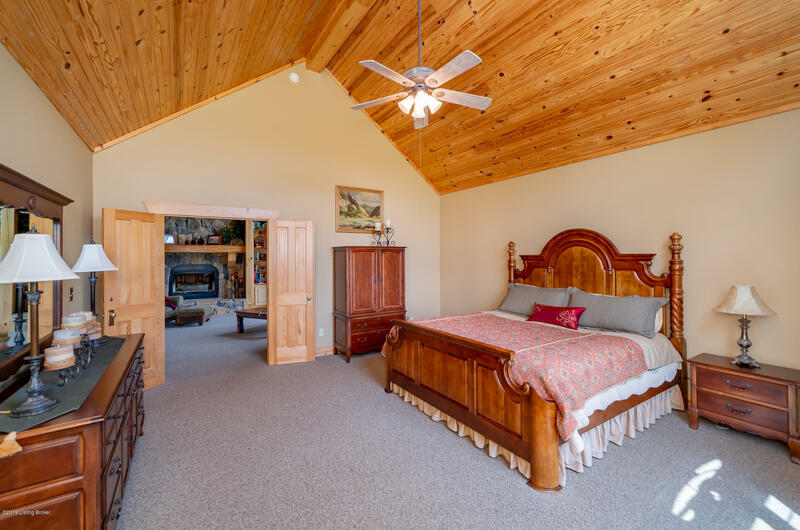 The end result is a stunning but comfortable Kentucky home with all the conveniences one expects with a rustic flair. 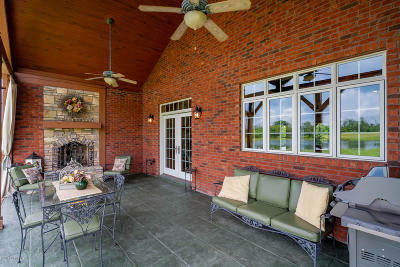 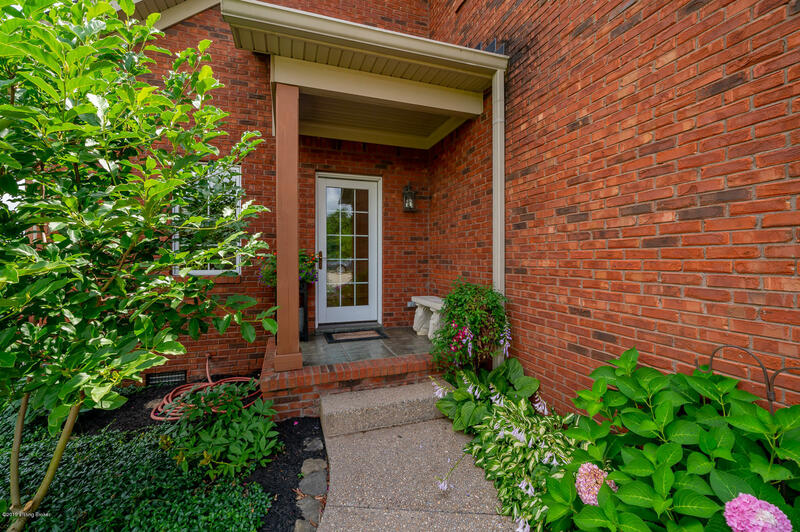 The exterior is brick and real stone with large inviting covered front porch. Roof is brand new.